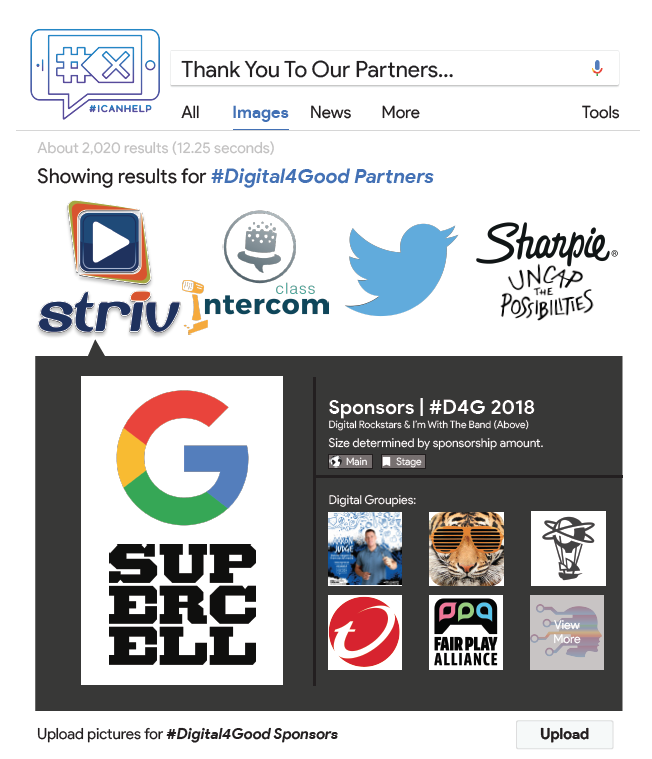 Use the hashtag #Digital4Good and be a part of the event. 10:11-10:17#ICANHELP Curriculum Launch - "Breaking the News"
#Digital4Good is a day for industry and education to come together and celebrate student voice and show how students #uncap the possibilities and use #Digital4Good. 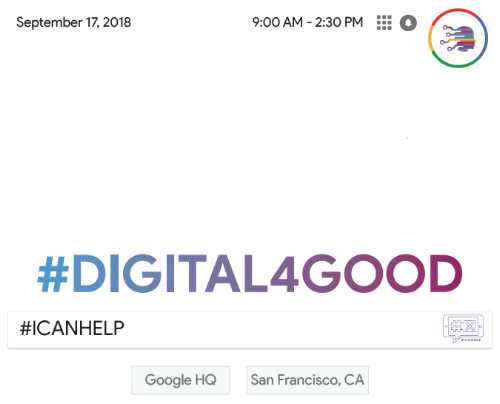 On Monday, September 17, 2018 students, educators & industry will come together to celebrate #Digital4Good at Google's Community Space in San Francisco, CA.